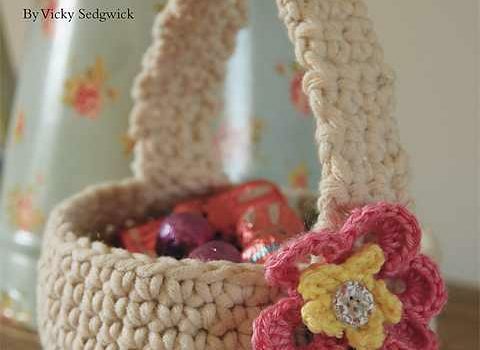 This beautiful crochet Easter basket, worked mostly in double crochet and with a beautiful flower detail is a great pattern suitable even for the beginner crocheter. 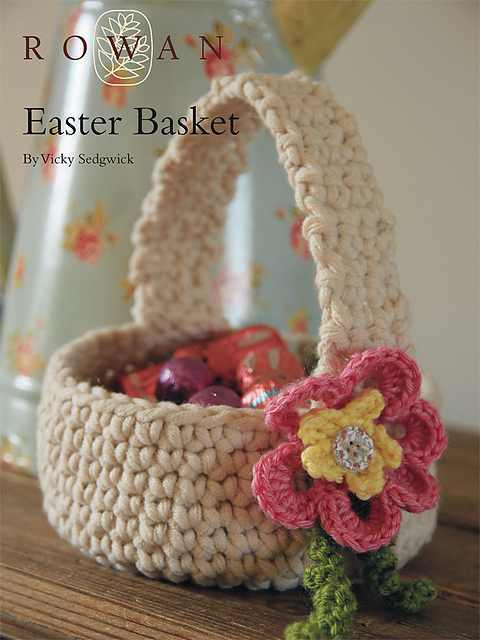 This cute Crochet Easter Basket by Vicky Sedgwick is perfect if you’re planning to delight and surprise the family this year with a new Easter arrangement. Everyone will love such a creative and decorative basket, even more when it’s filled with goodies. Thanks to Vicky Sedgwick for the article inspiration and featured image. Link to pattern doesn’t work. Other links are ads….anyone know how to get the pattern? I followed to the pattern and its knitted according to directions. Bummer. In past I sent a message to administration requesting they put on posts if they’re crochet or knit, especially with free patterns. Sometimes they do, sometimes don’t. I don’t like using up data on my phone unnecessarily. I’m not a knitter.